We recognize that all our patients are unique and deserve to receive orthodontic care that reflects their individual needs. 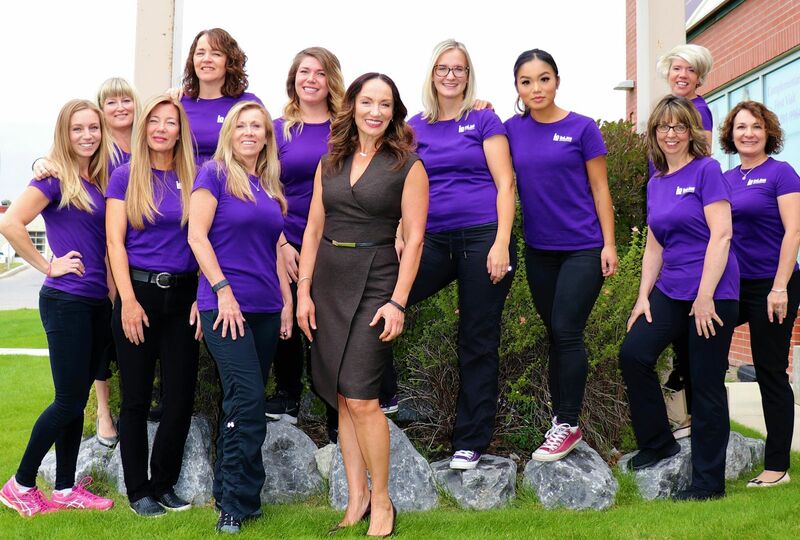 Our team is committed to working with you and your family to create a comfortable, stress-free, and rewarding orthodontic experience every time you visit our practice. 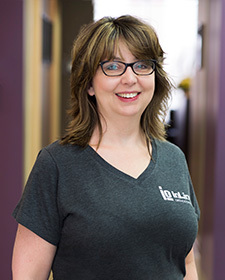 I am the office manager at InLine Orthodontics, where everybody calls me Suzi. I have dedicated myself to dentistry since I was 18 years old and I truly enjoy every moment working with Dr. Trpkova and her wonderful team. My family and I moved to Calgary to be close to the Rocky Mountains, where we spend most of our time downhill skiing and hiking. 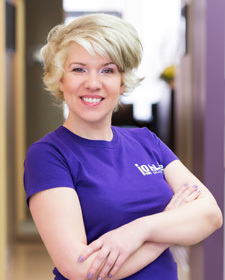 I am one of Dr. Trpkova’s dental assistants and administrators, and I have been with InLine Orthodontics since 2004. I enjoy working in such a positive and fun environment, and so proud to be part of a team of people who truly care about building relationships with patients and providing patient care. At home, I have a wonderful husband, two fun children, and a rescue dog named Bandit. I use my free time to go biking, spend time with family, and take Bandit for walks. I’ve recently joined the Inline team in May 2017. I’m very fortunate to be a new face at the front Reception desk, where my time here has been so rewarding. I really enjoy being able to follow patients through their journey and watching it end with such a bright and confident smile! On my days off I can usually be found at the lake, either McKenzie Lake or Gleniffer Lake where we camp throughout the summer. During the colder months I like to scrapbook or make cards and do crafts with my two boys. I graduated from the dental assisting program at Northern Alberta Institute of Technology in 1994. 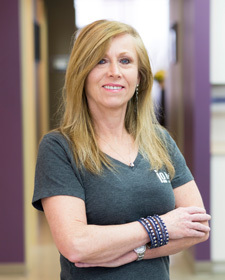 I worked for ten years in general dentistry before making the move to assisting in orthodontics. I really enjoy working alongside Dr. Trpkova because she has such a positive attitude and takes great care of her patients. 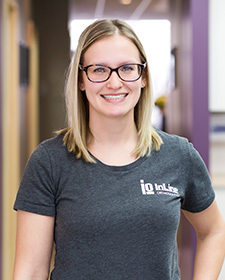 What I like the most about working in orthodontics is the relationships I establish with the patients, and having the ability to provide them with great care. Outside work, I love spending time golfing and skiing with my husband and our three children. I’ve been working as Dr. Trpkova’s assistant since June 2011, after I completed the dental assisting program at Columbia College. I work hand-in-hand with Dr. Trpkova and the other assistants changing wires, taking impression or scans, and reviewing oral hygiene instructions. However, the best part of my job is creating lasting relationships with patients! I married my awesome husband in October 2014. Our little family includes a very cute puppy named Hudson and a big horse named Cool. In my spare time I enjoy walks or hikes with my puppy and husband, and spending time with my horse. You can also find me at my local spin and yoga studio taking classes! I was born in Poland, where I began my career in dentistry. I lived and studied in the city of Cracow, one of the oldest and most beautiful cities in Europe. After graduating in dental technology, I reentered school to study dental hygiene. In 2003, my husband and I came to Canada and made it our new home. I graduated from the dental assisting program in Calgary in 2009. I love being able to use my skills and experience to provide great care to our patients. After spending seven years traveling, I decided to start my career as a Dental Assistant. Smiles have always been the first thing I notice about a person, so it seemed obvious to get into an industry that creates them! My favourite part about coming to work is seeing the progression of our patients throughout their treatment. I feel incredibly lucky to work for an office that is dedicated to providing its patients with the best care! Aside from working, I love to add stamps on my passport or find adventures a little closer to home with my friends and family! I graduated from the Dental Assisting program in 2007 and spent 8 years working for an awesome general Dentist! After my second child was born in 2015 I took a couple years off dental assisting and ran group fitness classes for mothers with their children. Coming back into Dental I decided to try something new, and I love Orthodontics! I am so happy to be a part of this team, I love seeing the changes in peoples all-around confidence when they can smile without hesitation. Outside of work you could find me running Spartan races, chasing my son around, or watching my daughter play hockey! 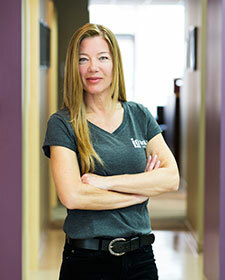 I have been working as a part-time sterilization technician at InLine since 2007. I really enjoy coming to work because we have such an upbeat and positive staff. My job is a lot of fun because it’s so detail-oriented and fast paced. Seeing our patients’ beautiful smiles is great, too! I’ve lived in Calgary for 25 years but am originally from Vancouver Island. I have three sons who are all very active in hockey and refereeing. I spend a lot of time in hockey rinks in and around Calgary! 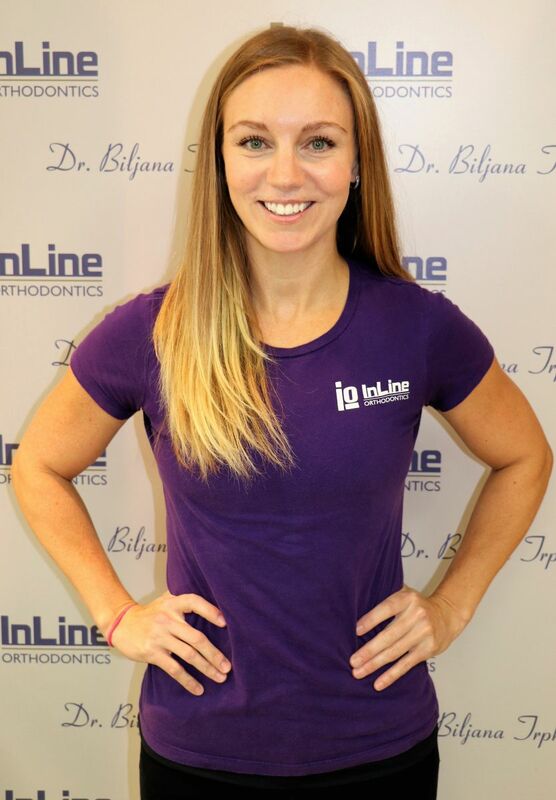 I have been working at InLine Orthodontics since 2010. My duties include sterilizing all instruments and tools needed for patient care, preparing trays for each individual patient, and ensuring overall function of sterilization department. I feel very fortunate to work in such a great practice, where my coworkers have become my friends. I have been married for 27 years and have three sons and a daughter. I enjoy spending my free time watching baseball, shopping, and reading.